Fluffy snowflakes and carols sounding everywhere are reminding us once again that Christmas is on the threshold. And people are fussing all around in search of presents for the closest people. 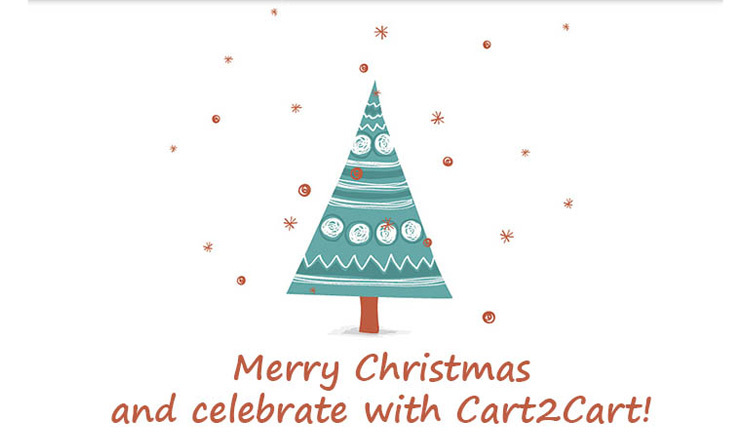 Cart2Cart has already prepared gifts for our favorite users that cannot be left out on the cold. So, accept our congratulations and a small bonus! Cart2Cart Team is giving you a chance to get more benefits from cooperation with us. Just add money to your account from December 22 to January 6th and get up to 20%* bonus to the balance. The funds you get will never expire and you will be able to use them at any time. Hurry up and get more profits from Cart2Cart! Have a warm Christmas and Happy New Year!